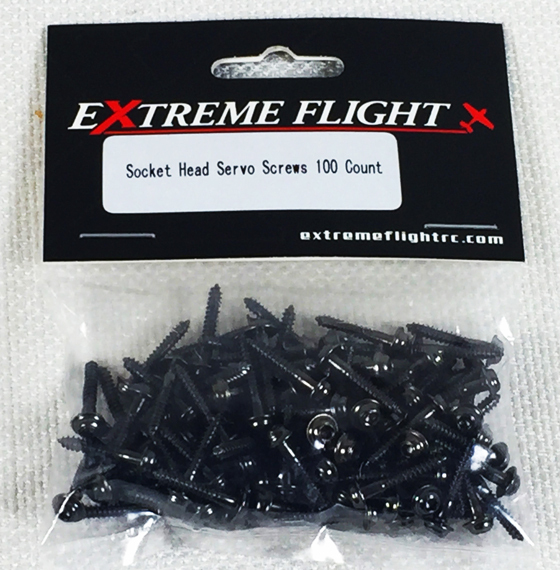 Socket head servo screws with integrated washer and black oxide finish. 2.3mm x 15mm. These screws make mounting your servos so much easier, especially when mounting servos in hard to reach places like internal stab mounts.